At Photolab Yves Thomas, we pride ourselves in offering all the services that a pro photographer might require, including printing on non-standard formats that may be hard to procure in other labs. Our digital printers as well as the software suites that we use to correct and adjust your images allow us the flexibility to print in any size and shape that you need. Are there any surcharge fees for non-standard formats? Yes, for smaller images. For non-standard formats, we charge 2$ per print for prints that are smaller than 16×20 inches in size. For larger formats, we don’t charge any extra fees. How can I avoid non-standard format surcharges? In order to reduce your non-standard photo format surcharges, use our ROES software and see the variety of standard sizes that are available from within the software. If your images don’t fit any of the standard formats, you can also use the included tools to crop your images into standard formats when that’s appropriate for your project. PhotoLab Yves Thomas offers color correction services to all our customers and for most types of orders. Are you looking to print some of your artwork but hesitate because you’re afraid that final results will not match the original colors on your screen? Color correction and image correction are two of our core expert services. Our professional technicians review each of your images individually and adjust contrast, luminosity, color balance and saturation, all in order to ensure that your final printed results are both beautiful and conform to the natural colors of your subject. We take extra care to take your particular photo-shoot situation into account when we make adjustments. For example, if you shoot pictures during a concert or a play, we take care to notice the ambient light and colors so that we reproduce the actual lighting scenarios that are present in your images, rather than use automated skin tone balancing algorithms that may not suit the situation. When entrusting your best pictures to our printing staff, you won’t get nasty surprises in color reproduction such as blue or pink snow, gray wedding dresses or greenish skies. We take care to look at the contents of each of your pictures and choose the most appropriate correction so that snow is white, skies are their natural blue and results are as perfect as they were when you took the shot. For smaller print formats that start from 2.5 inches to 12 x 36 inches, we offer color correction services as a paid option. All large formats of 16 x 20 inches of more include professional color correction at no extra cost, all you need to do is ask! When you choose to print on specialty materials such as canvas, acrylic, brushed metal, gatorboard or fine art paper, our technicians take extra care to adjust color corrections to compensate for those material’s special characteristics, all in order to ensure that the final result looks beautiful and is a precise representation of your original artwork. 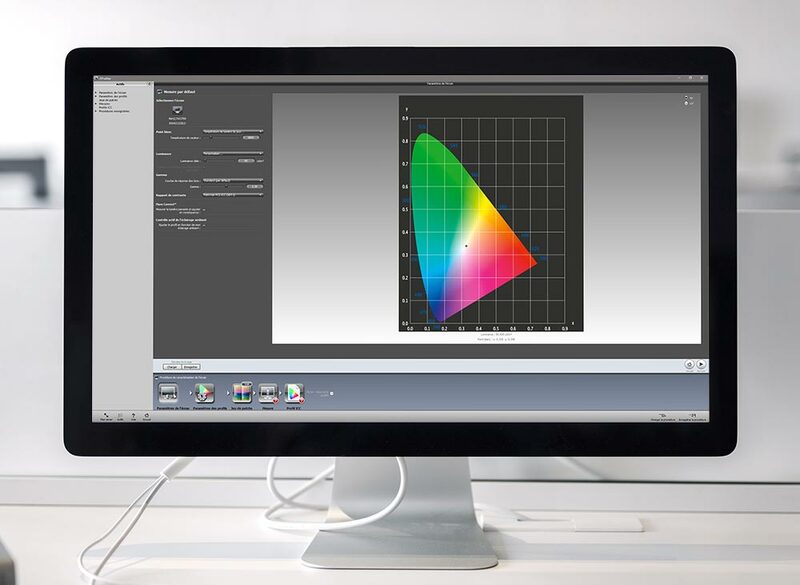 Don’t hesitate to contact us to ask questions, discuss how to calibrate your computer monitor, or to find out what color profiles we recommend with your image processing software. When you’ve chosen the printing material that best suits your image and your display requirements, why not consider a custom frame? 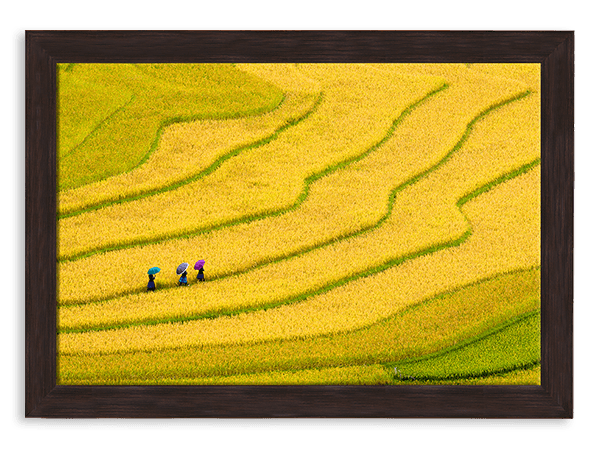 Framing a picture adds value and style to your image. Each one of our printed materials can be mounted and framed right within our lab; no need to print at one place and bring your work to be framed somewhere else! 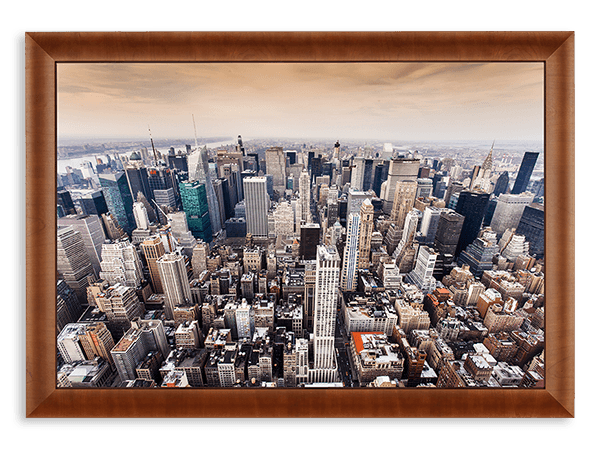 All of our frames are custom made by a master framer and are mounted on an appropriate support surface or sub frame, depending on the situation. You can choose a frame from our large selection of frames. All moldings are made from real wood and have a good resistance to wear and tear. If you’ve opted for printing on photo paper or fine art photo paper, then these soft printing media need to be glued to an acid-free foam board to avoid the forming of bubbles of wavy areas on the image. We can also add a glass cover to protect your image. If you’re unsure about what your image would look like with or without a custom frame, contact us or come visit our lab in person to ask for assistance, and we’ll be happy to guide you in your choices and show you a variety of framing options. For information on various printing materials that we offer, see our products section. At Photolab Yves Thomas, we use excellent printers to offer you high quality photo printing services. We have three Noritsu photo paper printers that print by laser and develop by the silver method (chemistry). Two of them can print on 2½x3½ sizes up to 12×36 inches. Larger sizes are printed on a Noritsu LP24 that can print on sizes up to 24×100 inches. 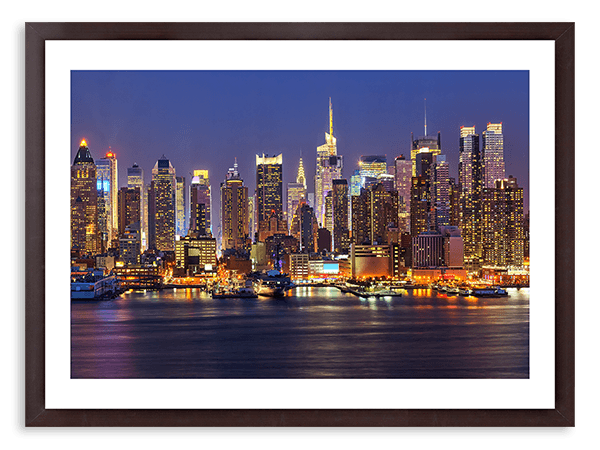 Larger sizes can be printed on inkjet on matte or glossy paper. Do you prefer printing on real photo paper? No problem, we have excellent subcontractors who take care of it. We use an OCE Flatbed Inkjet Printer to print canvas, acrylic, brushed / white metal and gatorboard. All of our printers are linearized, calibrated and profiled for perfect color and shade accuracy to reproduce perfectly the same colors as on a well-calibrated computer screen. Check out other sections of our website to learn more about the materials we offer for your photo prints. Photolab Yves Thomas ships your photo print orders everywhere in Canada. We use Canpar, ICS Courier or Canada Post, depending on where you’re located. Both Canpar and ICS Courier usually offer next-day delivery. Many of our shipped orders benefit from a fixed shipping fee of 10.95$ CAD. 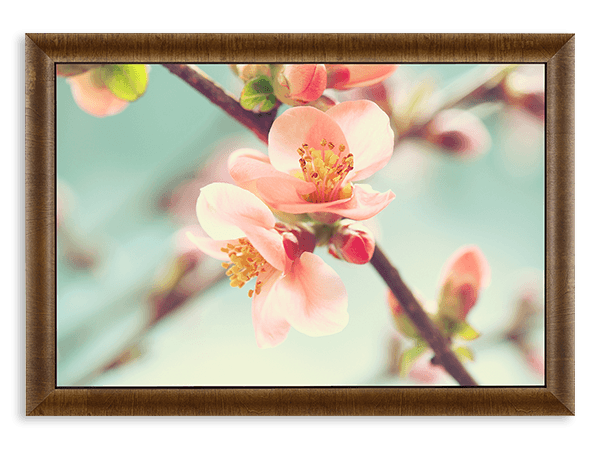 For very large or very heavy orders consisting of many prints or framed art, some surcharges may sometimes need to be applied.